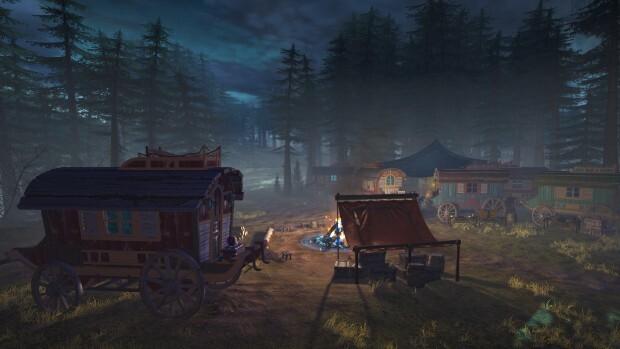 For fans of Neverwinter lore, the game’s latest developer blog post should be a small treat. Published today, the post provides a small bit of history behind the lands of Barovia. The post tells the story from the perspective of the Vistani, a group of wanderers who originated in the valley of Barovia. The travelers regale those who stumble across them with the tale of how they saved the prince Strahd von Zarovich, earning his gratitude and free passage through his kingdom. They then tell of a curse that fell on the land as a result of Strahd’s actions and how they hope to one day be saved from that curse. Now, assistance may be on the way, as players seek to enter Barovia. If you’d like to read the piece in full. Hit up the Neverwinter site.